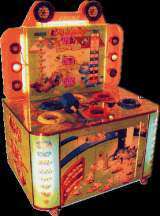 A Coin-op Redemption Game by Coastal Amusements, Inc.
Cats & Mice © 200? Coastal Amusements. Fast action soft mallet wacka game.